Some say he was foolish. Others say he died in vain. Some say he was trespassing. Others say he deserved his pain. But as for me, I salute him for I know he was killed for Jesus’ Name. The letters he wrote to family and friends showed his true heart. He counted the cost. He knew what was at stake. He didn’t want to die, but knew he might. So he made provision for that possibility too. He challenged us to obey God in our assignment and that we’d meet him beyond the veil. His motive was pure. HIs intentions were clear. He wanted to reach those precious unreached island people with the gospel. 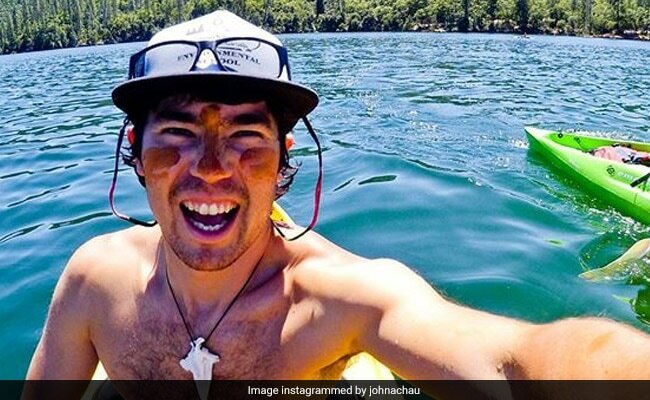 John Chau was a true martyr. His death defied the American dream of wealth and happiness and the love of this world. His death slapped mammon in the face. He death glorified God and won him a place. Yes, a place next to Christ for all of eternity. Anyone who calls that vain is foolish. Anyone who says so is living for this world. It’s those without Christ who sadly die in vain. It’s those who waste their lives chasing the American dream who die in vain. It’s those who labor for the meat which perishes who die in vain. It’s those who spend their lives on carnal things and the pleasures of this world who die in vain. It’s those without a worthy cause and a godly purpose who die in vain. Many even die and are considered martyrs for unworthy causes. They too die in vain. Some inner-city gangs could be considered fearless martyrs. In many ways, they live a life of complete abandonment. But their martyrdom is born of hate, desperation, and anger. When they die, they leave one hell and enter another. There are no visions of heaven and hopes of glory. How tragic! There was a new generation called “Y,” not sure if they’re around any more, who dress in vampire garb and have an obsession with death and darkness. They, too, are not afraid to die. Their perverted identification with death has conquered their fear of it. They’ve made Satan their friend. You see, they’ve landed on a scriptural principle. Generation “Y” hates their natural life. That’s why they are willing and able to give themselves to Satan’s kingdom. What an eerie perversion and morbid corruption of such a great spiritual truth! The scriptures tell us that one can even be a martyr without love (1 Cor. 13:3). Not John Chau. He was motivated by love. He was a true martyr. Islamic terrorists who are suicide bombers are yet another primary example of modern-day martyrs. The promise of paradise and 7 — or is it 70? — virgins who will serve them throughout eternity motivates them to die for their god and for their cause. They also die foolishly and in vain. And yet how tragic also when you compare today’s Islamic martyr spirit to our own. They die for a lie while many of us can’t even live for the truth, much less die for it. John Chau lived and died for the truth that is in Jesus. You see John Chau was an extremist and that’s what it takes to get things moving for God. Just as a certain kind of passivity limits the ministry of God’s kingdom, a certain kind of extremism will expand it. The Bible is a book of extremes. Extreme acts of God and history-changing events like the dividing of the Red Sea and the resurrection of Jesus Christ, among so many others. Extreme characters; men and women who changed the world. Extreme demands to follow the Lord like denying yourself, taking up your cross daily, and following Jesus whole-heartedly. Extreme blessings for obedience (Mk. 10:29–30), and extreme consequences for unrepentant sin and disobedience (Lk. 13:3, Mt. 7:21–23). John Chau was an extremist. And I salute him and honor him today. I am stronger, braver, and will wax bolder for what he did. American Christianity needs martyr seed. You just watch what God does with the seed of his blood.